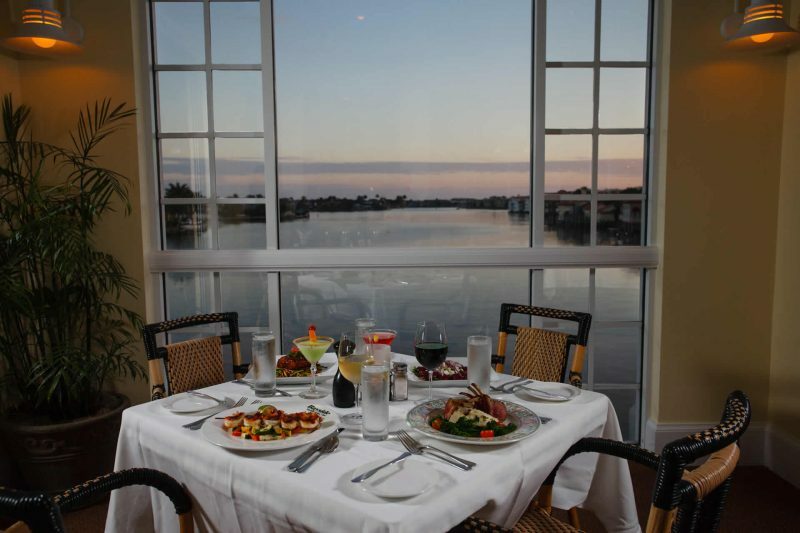 Bayside is among Naples’ most sought-after venues for private functions of up to 275 people. 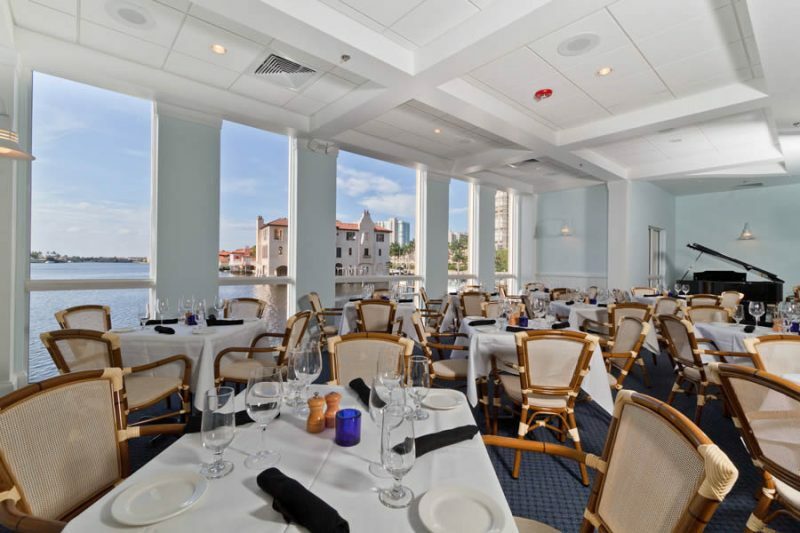 Enjoy spacious, light-filled spaces with scenic, waterfront views, of course complemented by Bayside’s classic and much-loved cuisine, sure to impress your guests and make memories to last. Offering indoor and outdoor settings across our two expansive levels, customizable menus for seated meals or cocktail parties, and collaboration with your event planner, florist, DJ, and more, we enjoy working with hosts to design the event of their dreams. 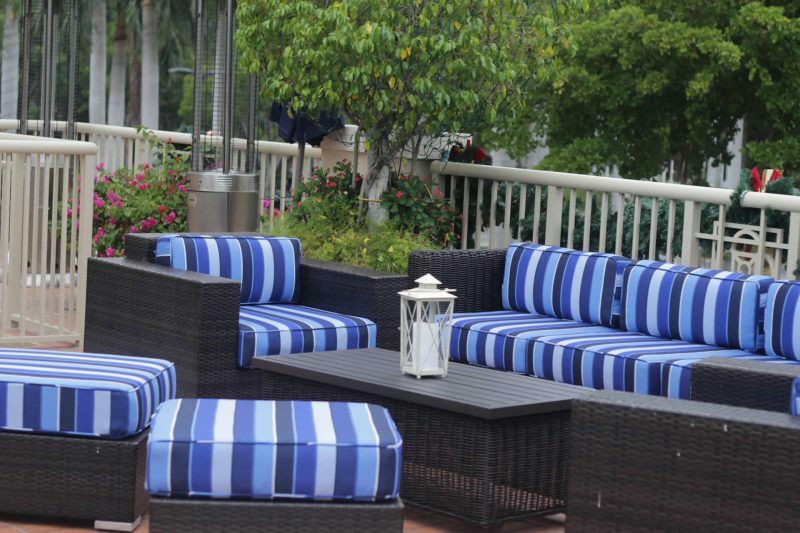 Select from two indoor and two outdoor locations on Bayside’s upper level. The enclosed private dining room can host up to 36 people, or up to 65 for a semi-private dining area. Our covered patio seats up to 50, or utilize the entire open-air deck to accommodate as many as 150, perfect for cocktail receptions with passed hors d’oeuvres. For parties of 100 to 275, you may elect to reserve the entire second floor of the restaurant. Our first-floor Café is a terrific space for up to 50 guests for seated dining or cocktail-style. For smaller parties desiring total privacy, our Vintner’s Room, located within Sukie’s Wine Shop seats up to 18 to 24 in an elegant setting. Bayside regularly welcomes events of all kinds, including corporate dinners, rehearsal parties and weddings, bridal and baby showers, family reunions, and any other event you are celebrating. Jennifer Shreve is Bayside’s long-time event planner, working closely with hosts to ensure their needs are met with perfection, and coordinating directly with florists and outside event planners. To contact Jennifer about booking your event, email her at jshreve@baysideseafoodgrillandbar.com or call the restaurant at (239) 649-5552.